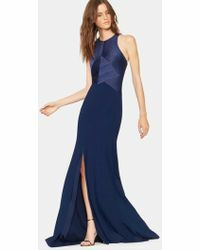 Halston Heritage is the youthful diffusion line to the illustrious Halston brand and was established in 2009 out of a passion for the up-and-coming generation. 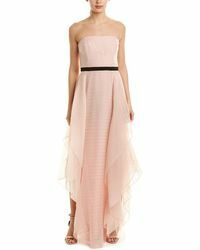 Halston Heritage gowns know exactly how to make a show-stopping entrance and present a number of floor-sweeping designs. The collection draws inspiration from contemporary catwalks, providing you with a look that is fresh, current and ultra-modern. 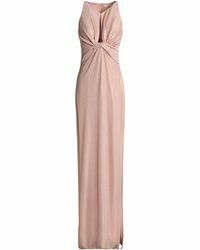 From sharp fitted designs to loose cascading fits, Halston Heritage gowns offer an array of glamorous styles to suit a number of fashionable tastes during the covetable party season.